It’s been five years since Gossip Girl said “xoxo” for good, but now, we’re finally being treated to the Choose Your Own Adventure path in which the bonkers reveal that Lonely Boy himself, Dan Humphrey, was actually the titular Gossip Girl didn’t end with him being a successful writer married to Serena van der Woodsen. 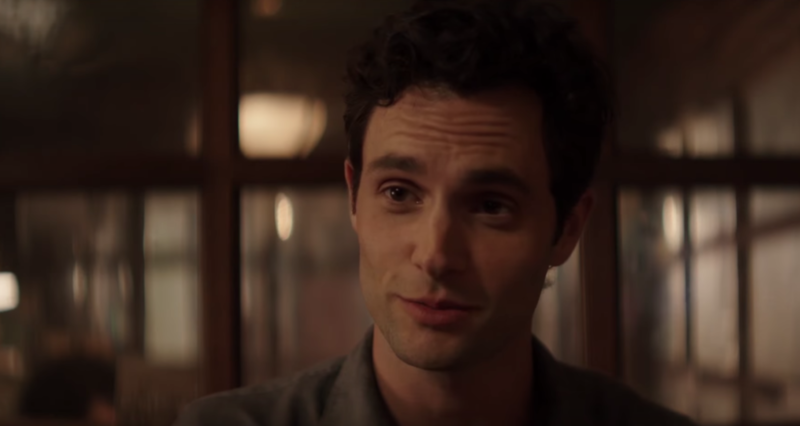 The trailer for Penn Badgley’s new Lifetime series You has just been released, and it appears this alternate-universe Dan Humphrey is still a bookish “lonely boy” stalking pretty blondes — only he’s traded the Upper East Side for Greenpoint. The trailer for Lifetime’s You, which was first released to Entertainment Weekly, opens with aspiring writer Beck (Elizabeth Lail) standing close to the platform edge of a seemingly empty Greenpoint subway stop. Fumbling with her buzzing phone, she promptly falls onto the tracks as (presumably) the G train rapidly approaches. Luckily, Joe (Penn Badgley), the manager of the bookstore Beck frequents, is there to swoop in and save her from certain death. Near-death experiences aside, it appears a meet-cute is still a meet-cute, and the two seem to hit it off. But over a haunting cover of Cheap Trick’s “I Want You to Want Me,” we find something more sinister is at play, as Joe didn’t just happen to be in Greenpoint waiting for the train when Beck fell. In fact, it seems he’s actually been stalking her for some time. Naturally, things take a turn for the dark as Joe’s obsession with Beck reaches a point where it appears he’ll stop at nothing to keep her in his life. “The things you do for love, right?” Joe says as he appears to straight-up murder someone. The last time someone uttered those words on television, it was just seconds before pushing a child out of a tower window — so you know they’re never followed by something good. And prepare to be very scared of Penn Badgley. This looks absolutely bonkers, and we are definitely planning on tuning in when the series airs this fall. The series also features Shay Mitchell as Beck’s close friend Peach, who seems a bit wary of Joe — possibly due to her own feelings for Beck. John Stamos also stars in the series. You is set to premiere September 9th on Lifetime.